Friday afternoon. The sun was shining over snow covered mountains, Danish tourists were skiing over the lake, and in the lobby at Fefor High Mountain Hotel you could hear English be spoken with different accents. Occasionally you could hear laughter, and if you just followed the sounds you would find a group of above standard big men. 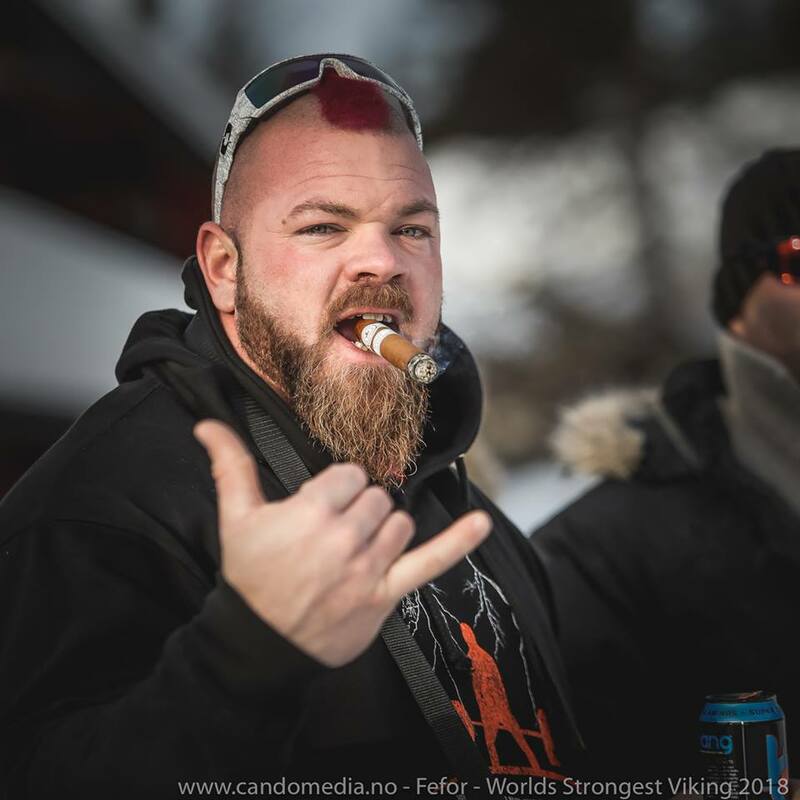 These 14 men were the athletes that in the evening, would compete in MLO Strongman Champion Leauge – World’s Strongest Viking 2018. They had all travelled quite far to get to this beautiful part of Norway, and every single one of them felt the excitement of being selected to compete in this awesome competition. Just imagine; white mountains, a bright sun from blue skies, vikings, drums and horns, and the coolest equipment and events ever. That is the dream of every single strongman out there. First event started 7PM, and the athletes were going to hold a hay bale in each hand – each weighing 44lbs. Not too bad, is it? Well … it was -13F, so it was way tougher than most crucifix holds you ever seen. 44lbs is rather heavy, and both athletes and crew worried a bit about the weight, but from athlete #1 it’s clear the weight’s perfect. 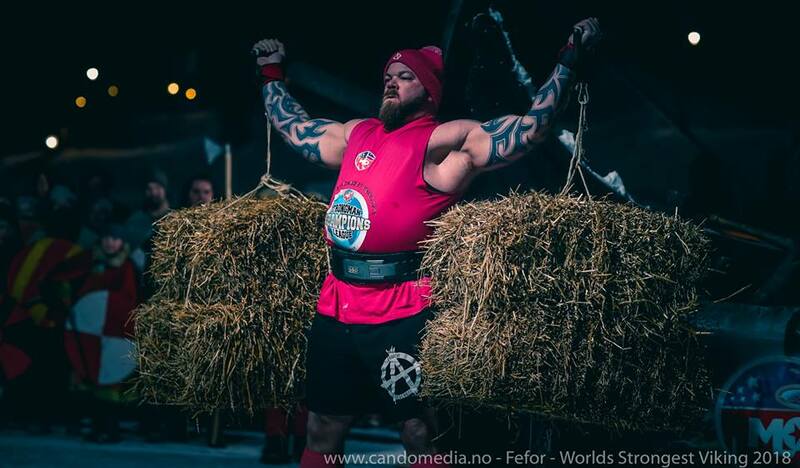 One of the freshest athletes held the hay bales for 7 seconds; while the winner, Joachim Gustavsson from Sweden, held them for amazing 62 second. After the first event, everyone went inside, had an awesome supper, and then went to bed. First event of Saturday was to start at 11AM, and by then everyone had to be warmed up and ready to rumble. Saturday morning was beautiful, with the sun slowly rising over the mountains, making sure that the temperature rose to impressive 12F … Vikings had put up their tents, craftsmen – and women – made their sales boot ready, viking fighters warmed up both themselves and their weapons, and on the edge of the lake, a viking was playing soft tones in his horn. 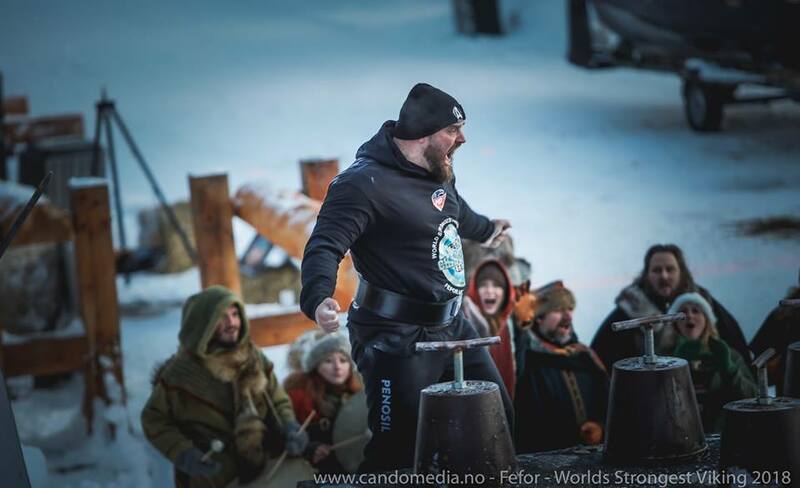 Everything was ready for what would be the best SCL Norway – World’s Strongest Viking ever. First event was viking boat pull, and as always this was an event the athletes were looking forward to. 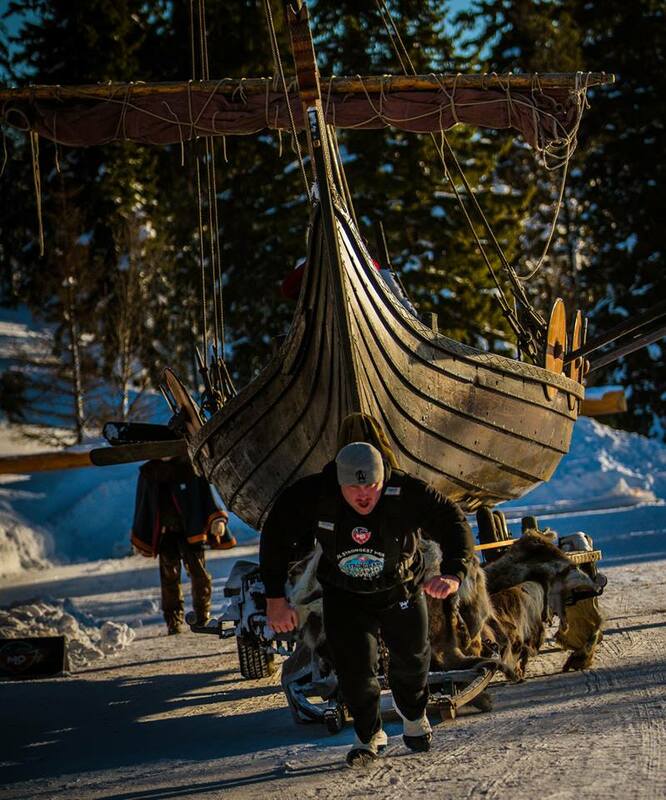 It does look and feel very cool to pull a big viking boat, and it does feel extra cool to pull it on the ice and snow, as Justin Fisher from America pointed out. He did an awesome run, and he won the hearts of the audience by encouraging them to cheer him while he ran. And the audience responded by cheering him and the other athletes through some awesome runs. Winner of the event was Krzysztof Radzikowski, who pulled the boat in just above 16 sec. Next event was viking press. 342lbs for max reps in a minute. Existing record was 13 reps, so Lucain Herrick of Texas had decided he wanted to beat that. He had a plan of not using his legs the first ten reps, just to show his shoulder strength, and then he would use his legs for the rest, to get over 13 reps. And he did as he preached; he strict pressed 10 reps, and then got 4 good reps before he just missed the lockout on rep 15. Then Krzysztof came in and just pressed 15 reps – “because I can” as he said with a grin towards Lucain. After the viking press there were a cut, where two of the guys didn’t get to continue. Those two unlucky men where the Norwegian newcomer Richard Soyland, and Justin Fisher of Connecticut. Fourth event was a team event, and for this competition the local carpenter had made a giant timber frame, weighing roughly 800lbs. Into that the crew loaded an atlas stone and loads of snow, so the weight of it all ended on roughly 1100lbs. The athletes were paired by a drawing, and each pair was carrying the implement as far as possible in 60 seconds. First pair was Lucain and the Norwegian giant, Jon Olav Granli. They ended up with a distance of 158 ft, and a couple of torn hands. The winner pair was Aivars Smaukstelis from Lativa and Mika Törrö from Finland, who walked roughly 262ft. After the team event there was another cut, and this time it was the Swede, Joachim Gustavsson, and the big Irish athlete, Sean O’Hagan who didn’t made it further. 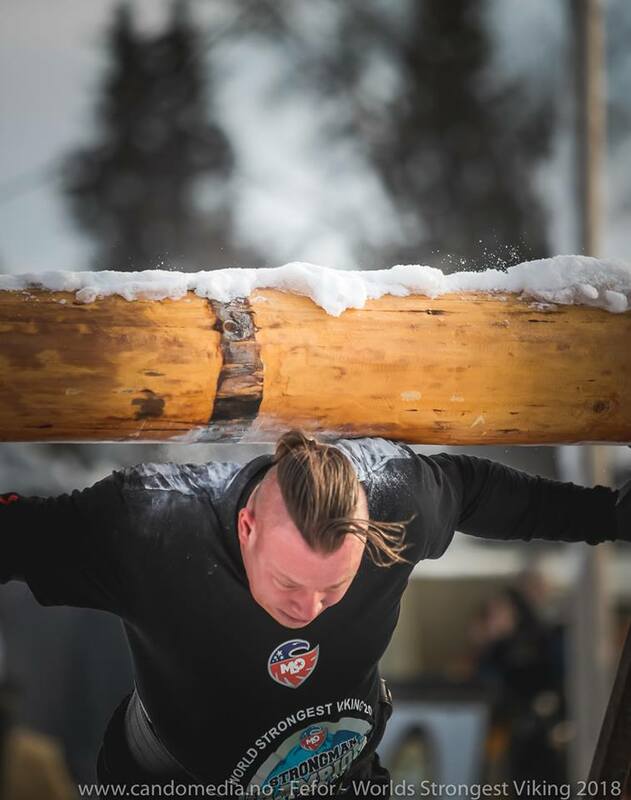 The fifth event of the competition were the giant timber yoke. At 772lbs it isn’t the heaviest; but because of the length of the timber log, it is very difficult to balance, and therefor hard to walk with. If you add snow and ice under the feet you will understand how hard it is. The guys impressed with speed and stability this year. No heads were chopped of, no viking tents were torn down, and everyone were happy, and the happiest of them all was Lucain, who won the event. 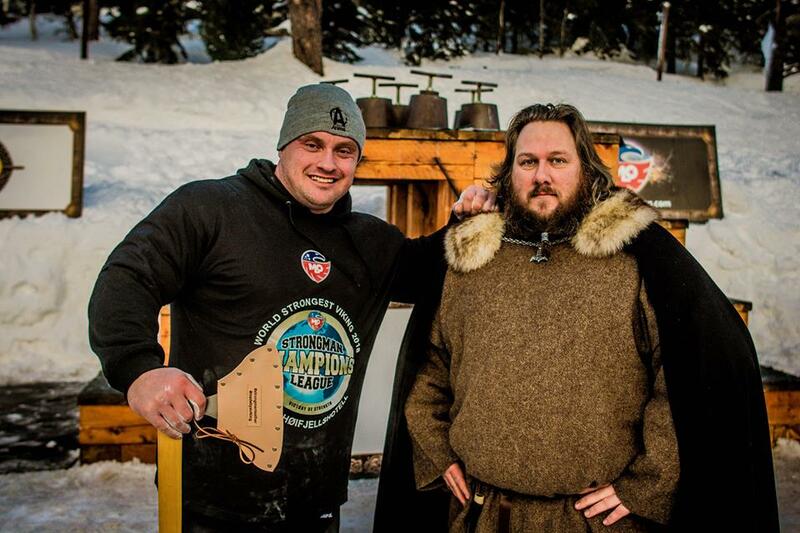 Sixth and last event, and the event to decide who were the world’s strongest viking, were powerstairs. Three implements, weighing 408, 430 and 452lbs was to be lifted as fast as possible up four high steps. The athletes went out in pairs, and everyone worked hard to get all the implements up all the stairs. Fastest of them all were Aivars, who also won the audience’s price. Next to the powerstairs a crowd of vikings had gathered, and while the athletes were working hard, they cheered and chanted, drummed and sung, and it seemed to have an effect on the athletes, because they were working harder than ever. So, as the observant reader would have found out by now, Krzysztof Radzikowski of Poland, was the winner. After three years working hard to get the title, he finally won. Never has a bigger smile been seen on top of the podium, and never has a Viking axe been raised higher than the one he won. Dennis Kohlruss from Germany placed 2nd, and Lucain Herrick from USA placed 3rd. After a long day out in the cold of the Norwegian mountains, everyone enjoyed a dip in the pool, a hot shower and a good meal. 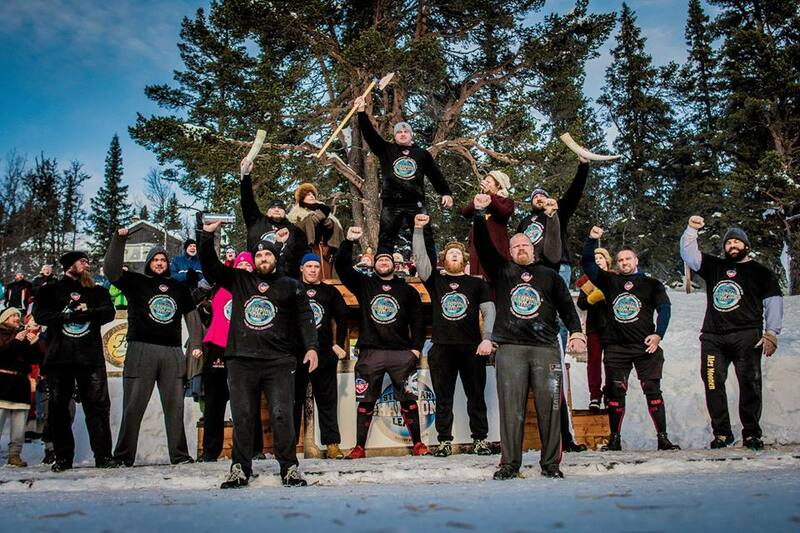 After that there were viking games and viking music in the bar, and rumours tells that some of the athletes took the after party a bit more serious than other. 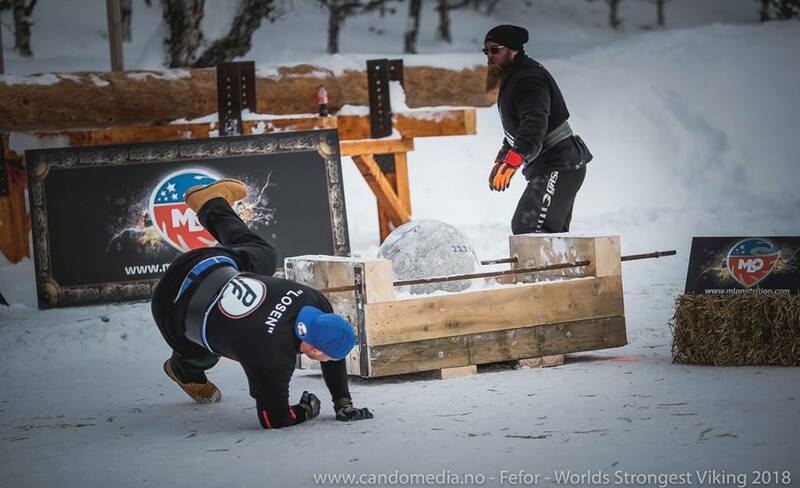 We are all looking forward to welcome MLO Strongman Champions Leauge back to Norway and Fefor High Mountain Hotel the last weekend of January 2019, and we hope to see a lot of Americans there. It is worth the money to take the trip! FINAL RESULTS MLO SCL NORWAY 2018!